It’s a painful narrative stemming from another painful season in the Big East. The conference as a whole battled all season long, collecting a number of impressive non-conference wins, amassing both longstanding and fleeting appearances in the Top 25, and ultimately achieving four NCAA Tournament bids. And yet again, come March, all that hard work failed to materialize. The best conference achievements might have been Xavier‘s run from 3-8 team to bubble team, the out-performance of Seton Hall and Creighton (picked eighth and ninth in the preseason poll, respectively), or DePaul‘s first postseason appearance since 2007 (it finished as the runner-up). But at the end of the day, the league’s attention disappeared as quickly as its several teams did from contention. The first and most prominent is the sample size conundrum. The single elimination format of the NCAA Tournament allows for a wide variance in outcomes whereby a hot or cold shooting night, a few missed calls or a poor game plan will have an outsized effect on public perception of a team. The perfect example is last season’s Virginia club, which at 31-2 and an overall #1 seed, had one bad game at an inopportune time and received a shocking amount of criticism. Was it justified? Certainly not; a 33-game sample size greatly outweighs the one-game sample size of the NCAA Tournament. The same could be said for the postseason as it pertains to the Big East: single-game losses to equal or better teams should not outweigh the regular season as a barometer of success. But justly or not, it does, and it will continue to do so because the perceived point of the tournament in the first place is to crown the best team. 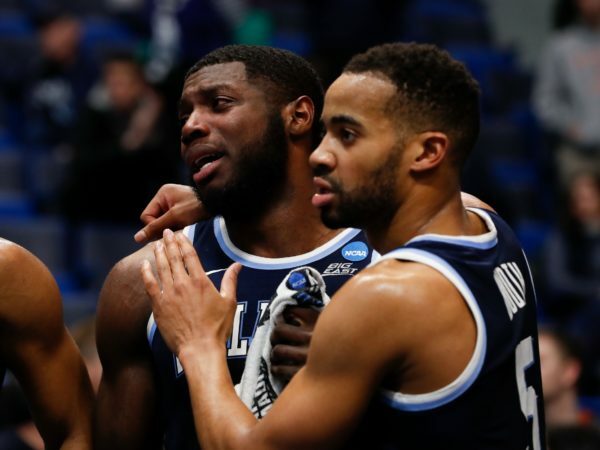 One season might be a blip, but it remains perplexing that the Big East, aside from Villanova and an unexpected run by Xavier one year, has struggled for years.